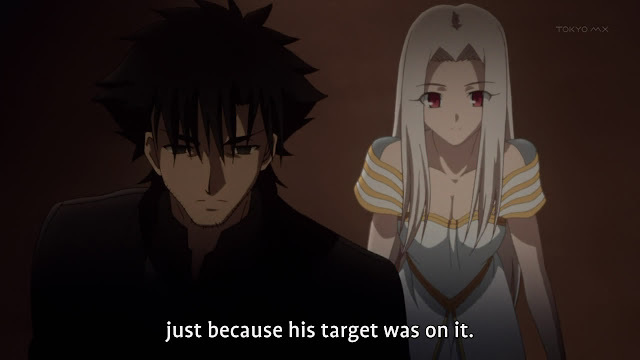 Fate/Zero 01 - Info dump time! So the first faction is the Einzbern family that contracted an extremely skilled magus to join their ranks for the holy war. 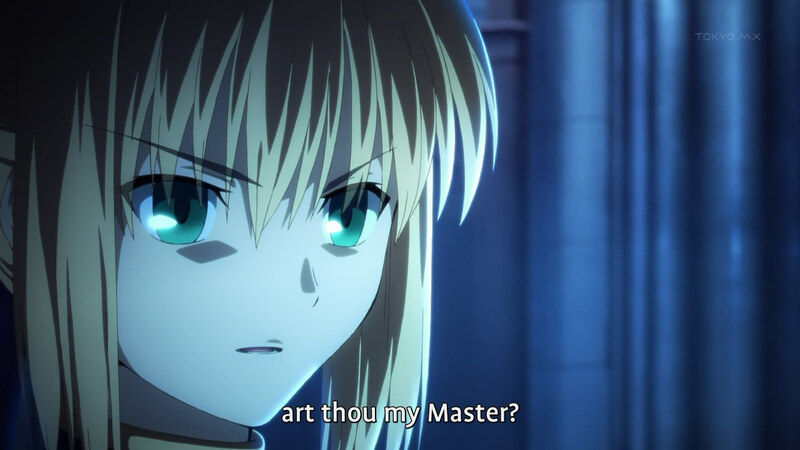 I suppose he is the main character as he is father to the main character of Fate/Stay Night and even summoned Saber. Like father like son? So we learn that the loli girl was the main character's sister in fate stay night? Interesting news to me considering how they interacted in the VN. The second big pairing was two masters working together. 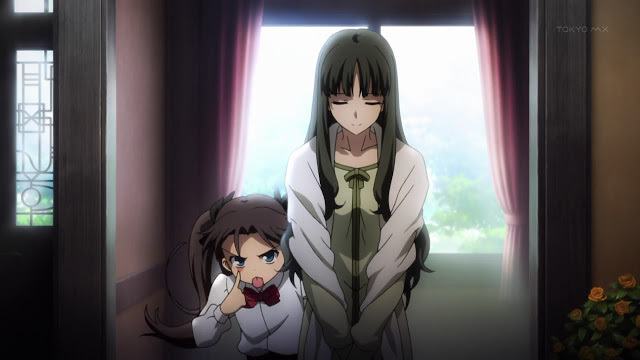 Tōsaka family summoning Gilgamesh, I guess that is how it links together Gilgamesh into the Fate/Stay Night. 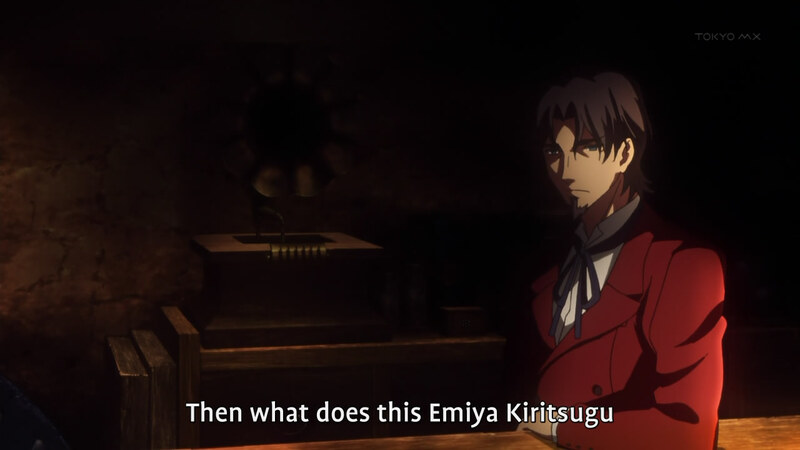 Isn't Gilgamesh way to strong? How is the balance going to happen? Judging from this, I guess Gligamesh betrays him and joins Kirei which is why they appear together for the second holy grail war. Even knowing some of thing events, still pretty interested in this anime. I wonder what this low tier magus fits into all this. He clearly is semi-smart if he submited a paper that could revolutionize the magus society. Is he going to be the young prodigy that dies out quickly? His summon looked pretty crappy tbh. Seemed like a spoiled brat to me, maybe it is jsut me hopping he will be killed off quickly. The final introduced magus was the third great magus family. Interesting to learn Sakura and Rin were actually sisters and she was sold off. So she held dormant within her some insane power? 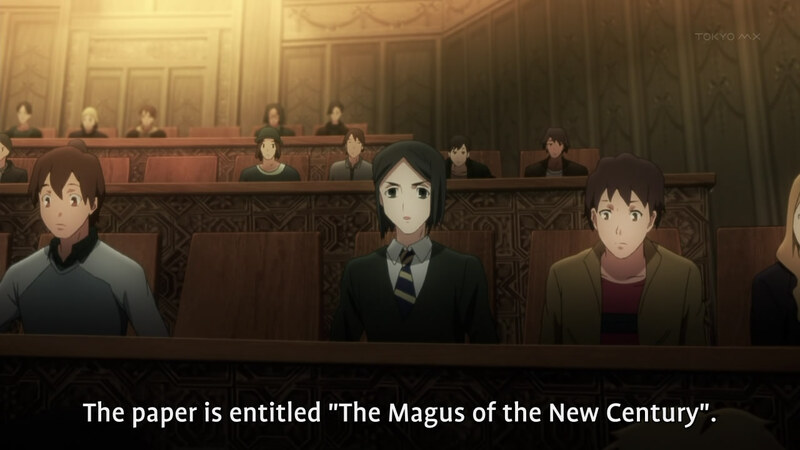 Maybe thats why she was chosen as a magus in the future. Now this guy I'm sure is going to die out early, he is the weakest with some crappy looking summon. 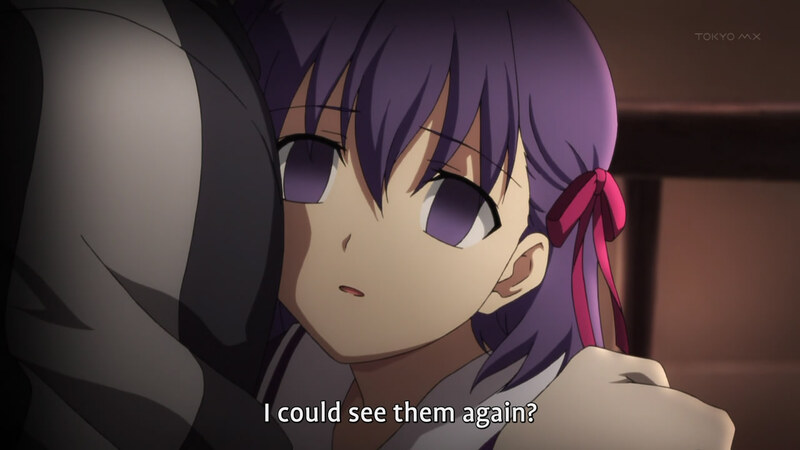 Though I kind of like his semi noble idea of saving loli Sakura; I mean who wouldn't want to? With all the Fate/Zero light novels already translated, many people already know how everything will play out. 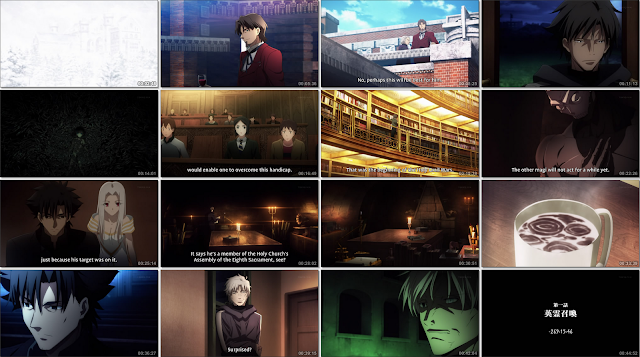 I'm going to have to avoid 4ch posts and other posts to not be spoiled hard. Hopefully that will work since I do like the backbone setting of this world. I love reinventions of old mythical heroes and their power struggles against each other. May the best hero win!